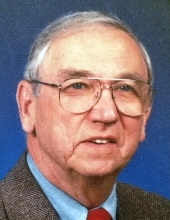 Rudolph Thomas Kazimer, 93, a lifelong resident of Meriden, loving husband to the late Elsie Helen Kazimer, passed away on April 3, 2019 at The Connecticut Hospice, Branford. He leaves his children; Thomas Kazimer and Nancy Kazimer, both of Meriden, and Robert Kazimer and wife Ellen of Evans, GA, grandchildren; Katherine Kazimer and Timothy Kazimer and his wife Nile, and many nieces and nephews. He was predeceased by his wife Elsie, sister Antoinette Laude, and two brothers, Frank and Stephen, who died in infancy. Rudolph was born in Meriden on February 2, 1926, to the late Stephen and Veronica (Senderak) Kazimer. Upon turning 18 years old, and before graduating from Meriden High School, Rudolph enlisted in the U.S. Army during WWII, where he trained with the Horse Cavalry and was deployed to the China-Burma-India Theater. He was honorably discharged in 1946 and returned to finish schooling in Meriden. He became a master tool and die maker and worked for engineering firms in the Meriden area, including AMF Cuno, until his retirement. He loved his profession and continued working into his early eighties. He enjoyed golfing, bowling, organic gardening, baking traditional European breads, and traveling, especially to visit his grandchildren. He was an enthusiastic sports fan and a devoted follower of Red Sox baseball and UCONN Women’s basketball. Visiting hours will be held on Tuesday, April 9th from 4 to 8 p.m. at Beecher & Bennett-Flatow Funeral Home, 48 Cook Ave., Meriden. Friends are invited to meet at St. John Lutheran Church, 520 Paddock Ave., Meriden at 10 a.m. on Wednesday, April 10th for a funeral service celebrating Rudolph’s life. Interment with Military Honors will follow in Gethsemane Cemetery. Memorial contributions in his name may be made to The Connecticut Hospice, 100 Double Beach Rd., Branford, CT 06405, or to St. John Lutheran Church, 520 Paddock Ave., Meriden, CT 06450. To send flowers or a remembrance gift to the family of Rudolph T. Kazimer, please visit our Tribute Store. "Email Address" would like to share the life celebration of Rudolph T. Kazimer. Click on the "link" to go to share a favorite memory or leave a condolence message for the family.